We are fortunate to have a wide variety of content for our research studies thanks to the generous contributions of stories, articles, and chapter books from the organizations and companies below. Know of any great content that would be a good fit for Udio? Let us know! Scholastic has been a partner with us since the beginning. They have provided selected eReads from the Read 180 program for Udio. They are quick reads that offer rich stories on interesting people and events, and explore thought-provoking questions. The SERP Institute is an organization dedicated to educational research and program implementation. SERP has provided really engaging and provocative articles on controversial issues that are relevant to students. 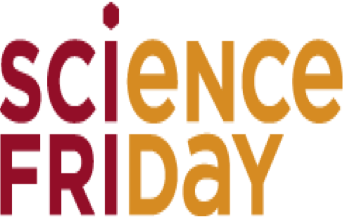 Heard of Science Friday on the radio or listened to their podcast? If not, tune in! 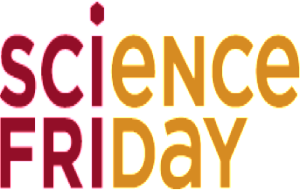 Established in 1991 by Ira Flato, Science Friday started as a radio show featuring news and entertaining stories about science. Since then they have grown to include a website featuring past and present podcasts, videos, and multiple blogs. 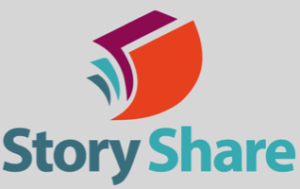 StoryShare is an organization that provides a platform that brings together writers, readers, and educators in order to improve outcomes for struggling teen and adult readers. All StoryShare stories are written and submitted by the public in an effort to provide engaging age-appropriate material for teens. These are some of our longer stories in Udio — great for students interested in reading chapter books. You may have heard of them… Udio features a number of current stories from Yahoo online magazines. These include topics such as Technology, Beauty, Travel, and Music. EDC is an educational research organization that designs, implements, and evaluates programs in education, health, and economic opportunity. In Udio, you will find interesting science stories from our EDC contributors. Scientific American is a longstanding magazine that serves as a leading source for science, technology information, and policy. They seek to bring science to the general public through their fascinating articles and blogs. On Earth Magazine is a bimonthly publication from the nonprofit advocacy group, the Natural Resources Defense Council. On Earth writes engaging stories about the environment and offers solutions for creating change. We’re excited to announce a new partnership with The Max Warburg Courage Curriculum, Inc. “The Max” is a non-profit organization that developed a language arts curriculum that offers students the chance to explore their own interpretations of courage. Inspired by the story of Max, students are encouraged to examine different acts of courage within their own life and in the lives around them. Each year, the organization produces a volume of award-winning essays from students who have participated in the curriculum. A collection of these essays, which range in themes from immigration, disability, illness, and family, will appear in Udio in the upcoming months. How do I gain access to the UDIO site and materials? I have a CAST account for the other learning tools.